From creating fantastical landscapes to trapping a boy in a boat with a tiger (Life of Pi), Visual Effects (VFX) have expanded the possibilities in film and television and made it cheaper to fulfill them. But visual effects are more ubiquitous than you think. For every alien planet or flashy explosion, there are many “invisible effects” you don’t spot. Consider the beachside mansions in Wolf of Wall Street or any car in a car commercial—all of these are the work of VFX artists. With the pervasive integration of VFX in both the entertainment and advertising industries, it’s not surprising that the demand for VFX artists is only growing. Vancouver is a major VFX hub in North America, and you can quickly begin working in the local industry with InFocus Film School’s new 3-month Compositing Program and 10-month Visual Effects (VFX) Diploma Program. According to curriculum developer and instructor Amir Jahanlou, these courses were developed after seeing a demand in the local industry. 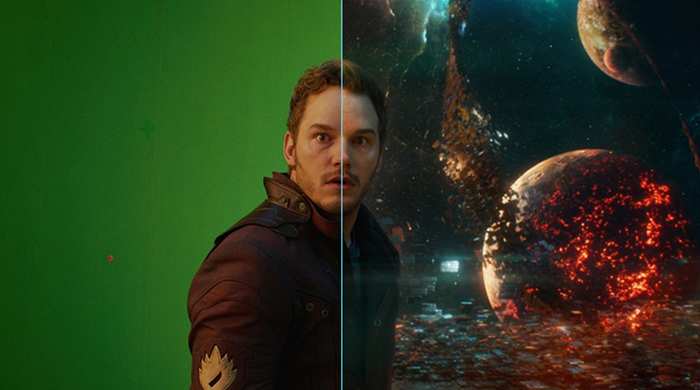 Vancouver is home to many of the major VFX companies, and the 3-month Compositing program was specifically designed as a fast track into the industry. “The Compositing Program is for someone who wants to find a job right away,” said Jahanlou. Jahanlou has worked in Visual Effects for over 12 years, primarily in TV commercials and advertising in Dubai. He said there are currently three streams of professionals needed in the VFX industry: compositing artists, lighting artists, and effects artists. The 10-month VFX Diploma Program covers each of these streams in detail, such as lighting 3D models and environments or creating explosions and weather simulations. The 3-month Compositing Program is primarily focused on 2D effects, composited effects, and preparing students to enter the workforce right away. While not every shot you see on TV needs a lighting or effects artist, Jahanlou explained, almost everything professionally produced will have a compositing element added. This is the reason why the demand for compositing artists is higher, and why the 3-month Compositing Program was created. “The goal is, you come out and you get a job. The goal isn’t to try to teach you every feature of every software or the history of compositing – no, the goal is that you learn the tools that are needed in the industry today,” he said. The Compositing Program covers a variety of skills, such as keying, tracking, stabilization, adding 2D effects and exporting for different types of mediums. Jahanlou said some positions in the VFX industry require years and years of training, but with these well-developed skills, students will be industry-ready and hirable as a junior compositing artist, roto/paint artist, Nuke artist, or compositing artist. Not only do students learn the skills necessary for entry level positions, but they also have dedicated studio time each week to create and understand the full process involved in VFX and compositing. “You get to work on existing footage while you learn the technology and the techniques, and then you end up working on footage you shot yourself so you can understand how the footage could have been better,” Jahanlou said. He said this is the best of both worlds, and having a good understanding of the studio will create a better compositing artist. Each week of the program, students learn and master a new skill, building upon the previous week’s knowledge. Students work with industry standard software, such as Nuke, under the close guidance and mentorship of their instructors. Jahanlou likened the course to a 3-month internship, learning from people who really work in the industry. With a maximum class size of 10, instructors get the opportunity to work with students individually and provide personalized coaching. Applications for both programs are now open and the Compositing for VFX Program intake is for Winter 2018. The VFX Diploma Program will begin in Spring of 2018. Please contact us for more information on costs and course details.